Anyway, FUNtabulousFriday has been going on and surprise surprise… We are still on the theme of “Shapes and Colours”. 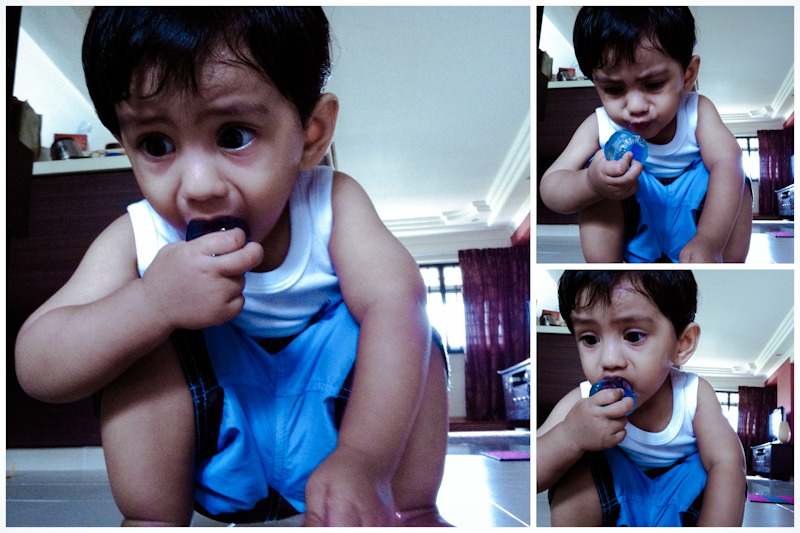 No brownie points for lazy Ummi*. The week after “Noodle Painting“, we decided to have fun with bubbles. I squirted some detergent into 3 separate bowls of detergent and used a straw to make some bubbles. 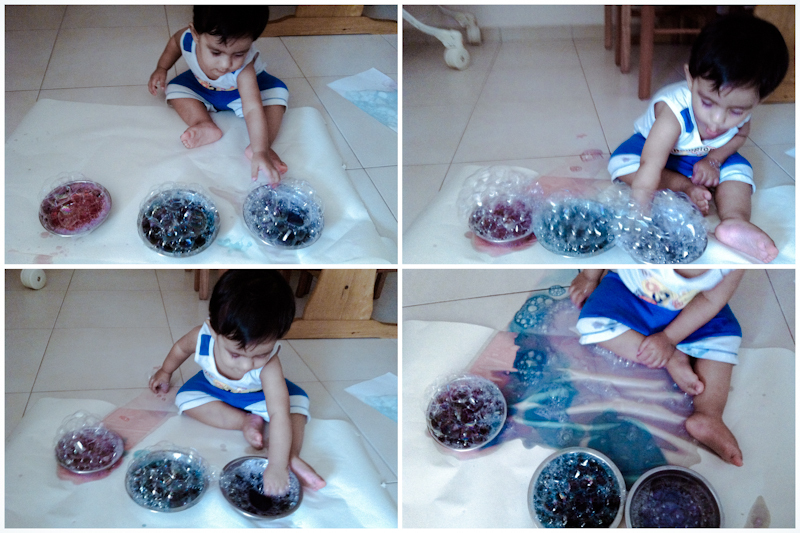 I then scooped the bubbles on some pieces of paper and let him tap the bubbles. 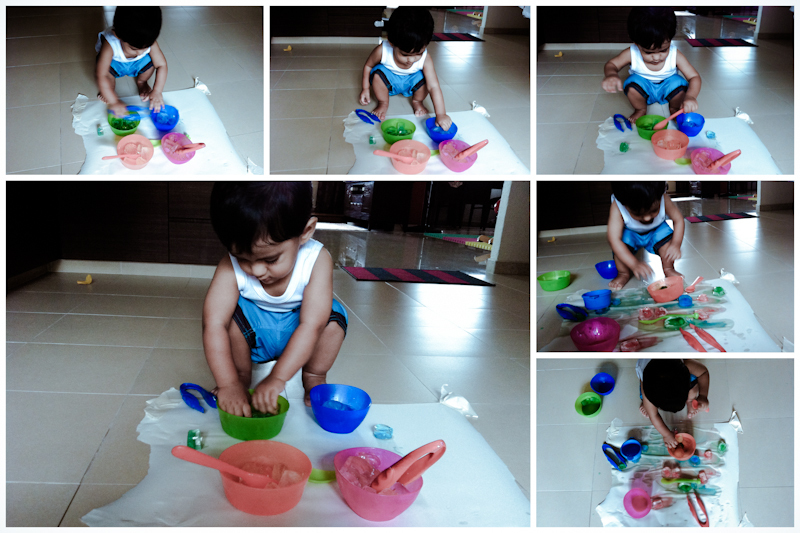 Well, he did just that until he insisted on tapping the bubbles in the bowls instead. At first, I refused, thinking of the mess that I would have to clean after. However, I reminded myself that learning can only takes place when the environment is relax and FUN. 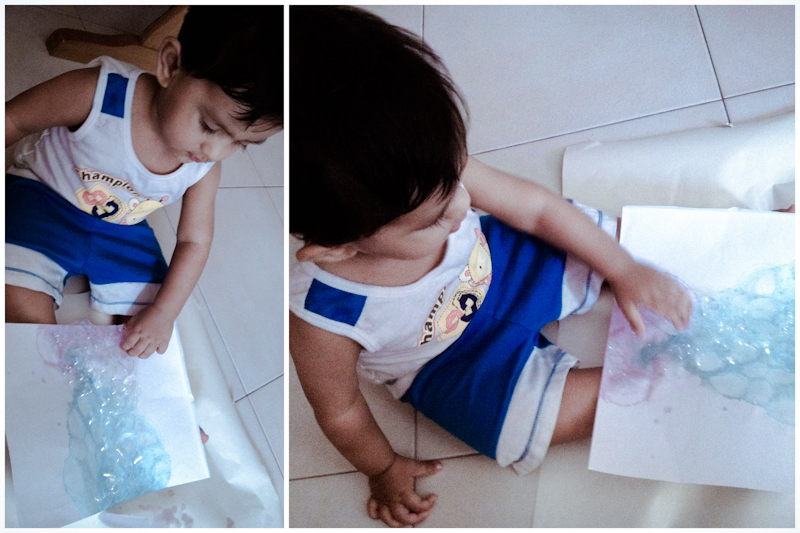 So he ended up splashing soapy water everywhere and that created an art of its own. 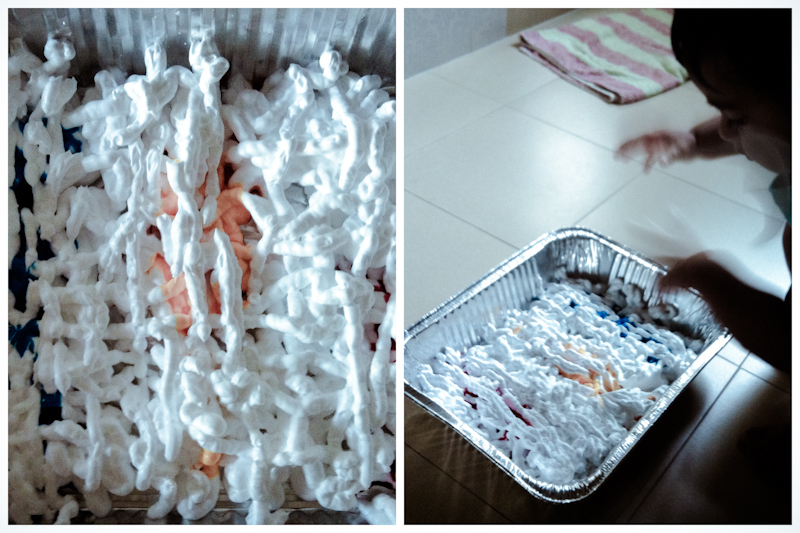 Next was a simple play invitation of shaving foam and food coloring. I do not know when he started to become “icky” of things, but he did. He felt a bit and that was it. Maybe we will do this again soon. The following week, we played with ice! Ahhhh… This was definitely one of his favorite activities which needed no invitation. The ice cubes did not turn out as well as I intended them to be. I used boiled water and colorings but all the colorings clumped together in the middle. As impurities do not blend into the ice-crystal lattice, you could see pockets of impurities. Actually, you should be able to see white pockets in your ice. Take one out now and observe! It’s a revelation to me as well! So if you freeze distilled water that has no impurities but only water molecules, no pocket of impurities should be seen. 😀 I digress…. *ummi is mommy in Arabic.